The design signature of Marcel Wolterinck stands out through the purity of our materials. Sober, earthy colors promote calmness and natural rhythm, and the designs radiate luxury and symmetry. 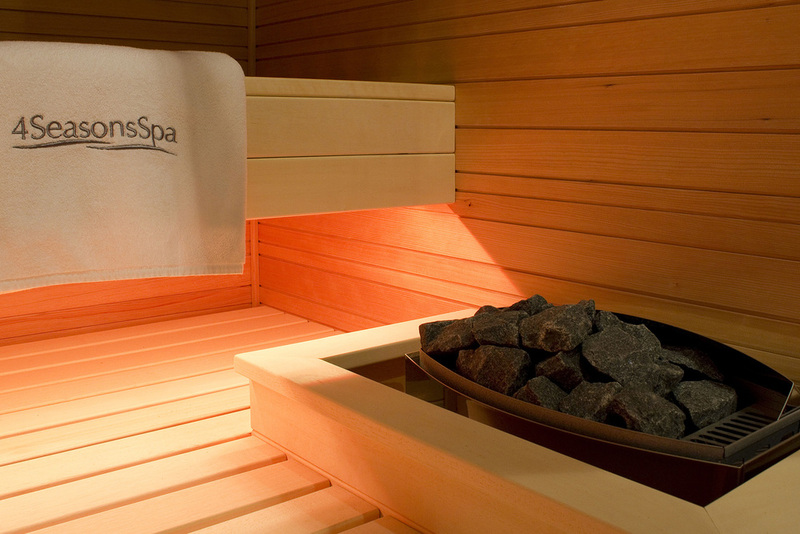 The Spa area allows exactly this feeling of calmness and natural rhythm. It is a place to retrieve and relax in this exclusive villa completely designed by M. Wolterinck. 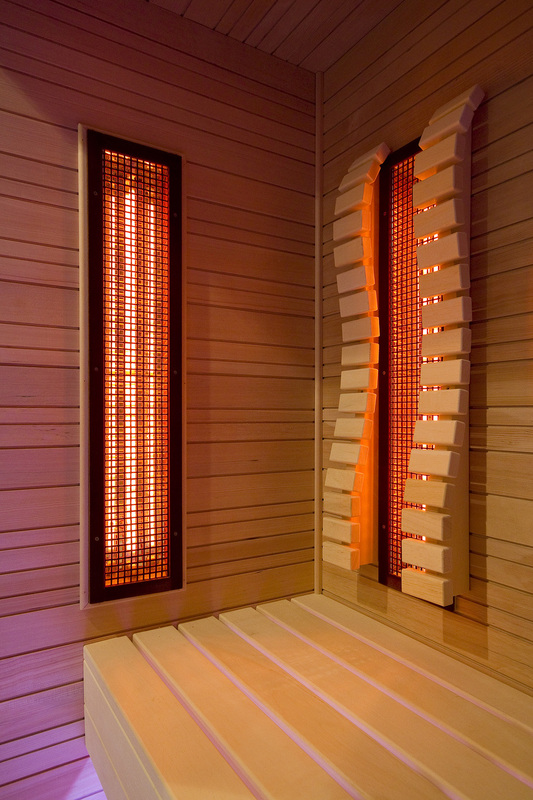 In the sauna, the profile of the walls in hemlock wood with the irregular repetitive pattern are a true Wolterinck signature. The combination of hemlock wood with the marble stone creates a natural environment and also allows the Spa area to integrate with the rest of the interior and exterior design. 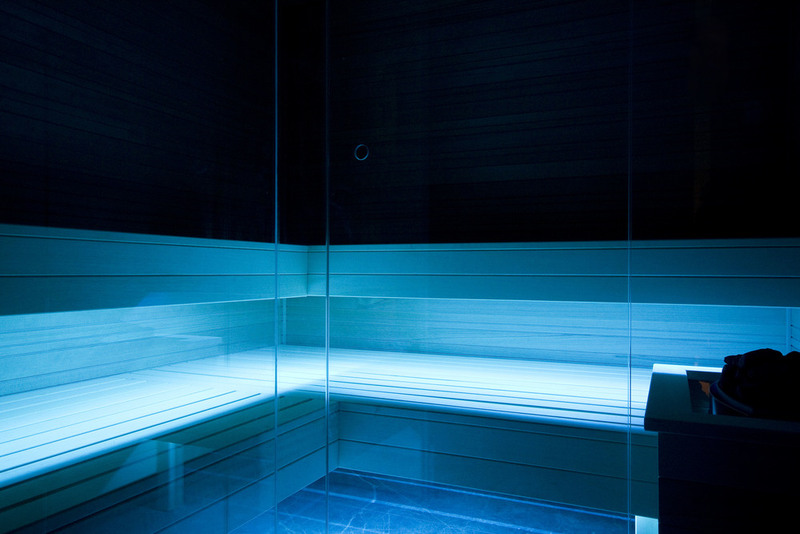 The rain shower is an important element of the sauna ritual. 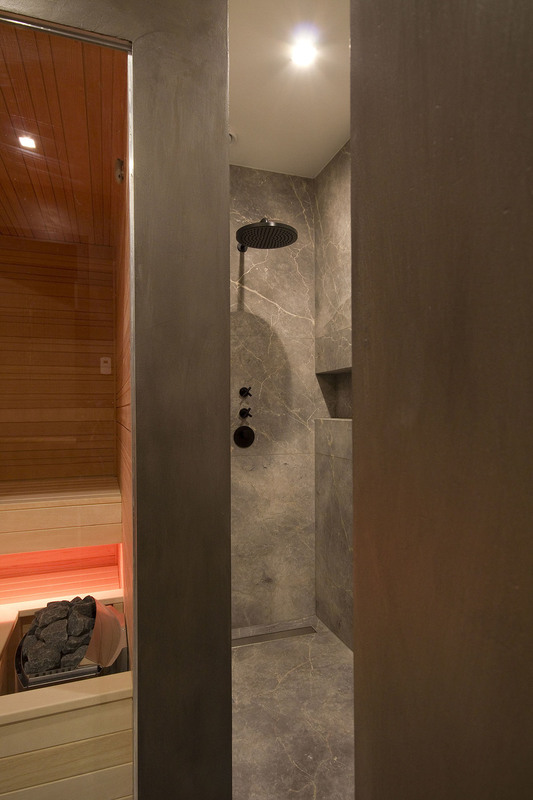 The marble stone is used gives the impression the shower is an integral part of the whole Spa.